We begin by simulating survey data for two commensal species for the following scenario. Species 1 has a 50% probability occupancy. Species 2 benefits from the presence of species 1, so its probability of occupancy is 83% when species 1 is also present, but only 50% in the absence of species 1. One hundred sites are surveyed 10 times each. The probability of detection for both species is 0.3. We specify the model structure in jags. Then we fit the model with R and jags. 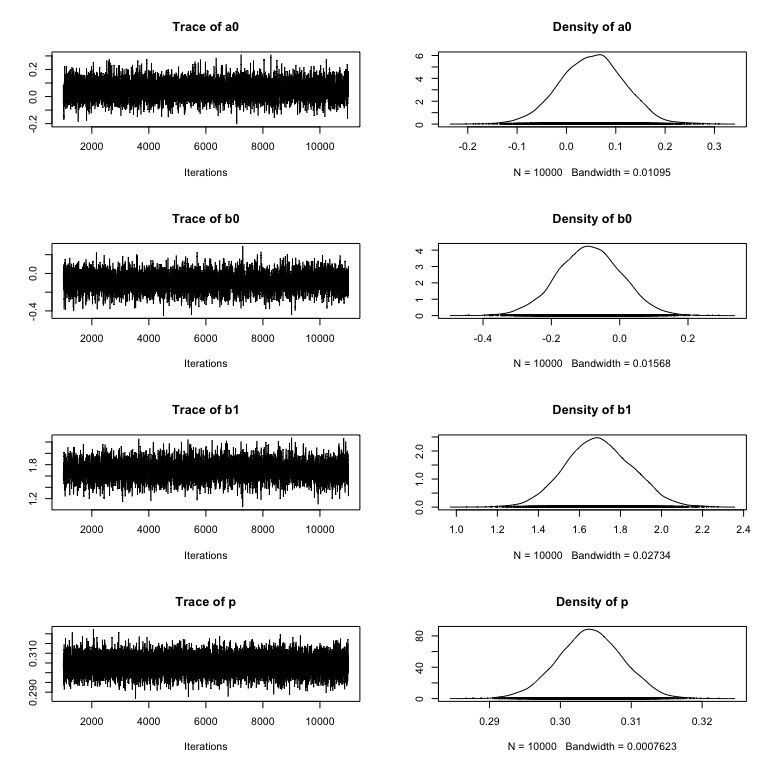 Here are the posterior distributions. A nice fit to the scenario for the simulated data. This entry was posted in Uncategorized on April 1, 2017 by joaaelst.